Fred Jourdain’s gorgeous, colourful, and cinematic drawings do full justice to the story’s genesis as one of Robert Lepage’s most dazzling theatrical constructions. A feast for the mind as well as the senses, The Blue Dragon is an extraordinary graphic novel for grownups. 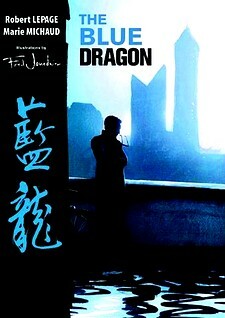 Mirvish Productions will present a special two-month run of The Blue Dragon, the show on which this book is based, in Toronto in January-February 2012. Fred Jourdain is a designer, best known for his portraits of great jazz, rock, and film figures. His work is currently on display in the Riff exhibit at the Museum of Civilization in Ottawa. We acknowledge for their financial support of our publishing program the Canada Council for the Arts, the Ontario Arts Council, and the Government of Canada through the Canada Book Fund.